OpenStack Pike, Queens and Rocky will include much-needed features and updates that will simplify user interfaces and improve the function of existing APIs. All the roadmap details for OpenStack are public, but it takes some digging to get a sense of what is to come. For the next three generations, OpenStack releases will build on the Ocata release; there are no forklift upgrades, though some of the changes will have wide-spread repercussions. OpenStack is a complex open source project. It moves forward with a set of scheduled major releases which are labelled alphabetically. In 2017, users can expect the Pike release, followed by Queens and Rocky in 2018. Because the team follows a somewhat rigid release schedule, not all projects include new features in any given release. A number of problems had surfaced by the Mitaka release, and issues such as very slow network deployment held back the transition from sandboxes to production across the user base. Newton and Ocata cleaned up many of these issues, and one result was the understanding that ease of use needed improvement, both in user interfaces and APIs. The focus now is on improving the user interfaces and APIs for modules, and extending manageability in most of the project areas over the next three OpenStack releases. These are both crucial efforts to allow scale-out deployment and move OpenStack into mainstream acceptance. There is a concerted effort to add containers to OpenStack, and it will support all the main container models, including Docker and Kubernetes. This is a must-have feature given the huge interest the industry is showing in containers, as well as the fact that the major public cloud service providers are all close to complete offerings. We are already well along in architecture, though the currently released code is still maturing. Overall, with the exception of containers and some major new storage features, this is a fairly bland list. Even so, OpenStack is a patchwork of somewhat connected modules, and these coming OpenStack releases are aimed at consolidating it and tidying up many elements that need to be realigned for better operation. This makes the PQR release sequence very important because, at the end of the cycle, we will see a much more integrated and mature product. It will then be ready for production deployment at scale and will serve as a good base for the next generation of major features. Pike is scheduled for an Aug. 30, 2017 release. Dates for Queens and Rocky aren't yet official, but should be at the end of February and August 2018, respectively. The schedule for OpenStack releases isn't a treadmill, however. For example, Red Hat offers three-year support for each release, which gives users enough time to get familiar with each release. What features in the coming OpenStack releases are you looking forward to? 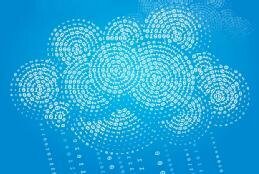 Companies wondering whether OpenStack is ready for prime time in the enterprise should first consider whether their IT administrators are ready for OpenStack. OpenStack continues to evolve in an effort to compete with AWS. The modules that are available now make OpenStack a viable enterprise option. OpenStack Swift doesn't have to be scary. You can use the command line, zones and access control lists to make object storage management a little easier.